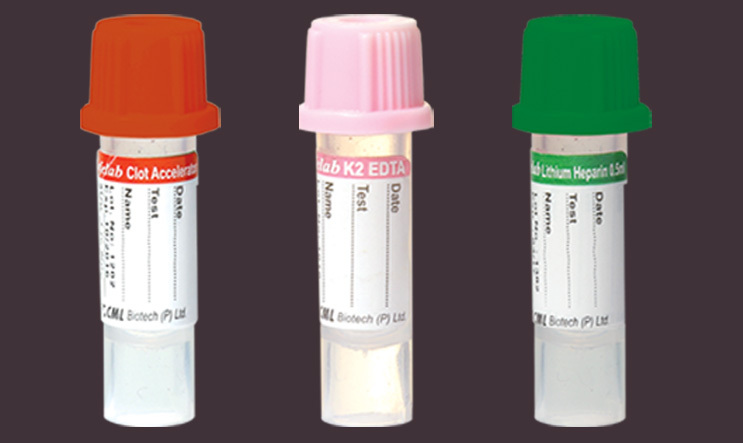 Safelab Micro	tube	with	luer	lock	system	used	for	collection	of	peripheral	blood. Because	of	its	integrated	collector	it	is	easy-to	collect	blood	from	fingertip	or	earlobe,	and	heel	from	infants	and	children. It	is	leak	proof. Conical	bottom	helps	to	centrifuge	the	sample	in	the	required	RPM. Self	standing	tubes	are	easy	to	store	and	transport.